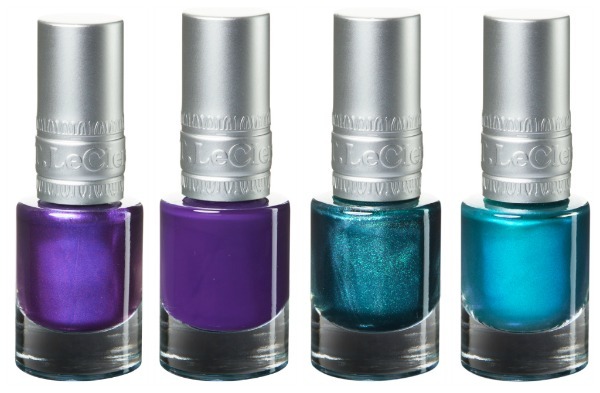 First things that entered my mind upon applying T. Le Clerc's Vert Electrique nail polish was disco, nightclub, sequins, and new year. The metallic, almost marbly look of it is definitely season appropriate. Check out the swatch below, see what I mean? Create a totally eye-catching and glamorous look by mixing and matching with T. Le Clerc's coordinating Velour Eyeshadow Pens. Aside from Vert Electrique, T. Le Clerc offers three other shades this Fall/Winter 2013 in deep tones with glossy or metallic finishes. Choose between Pourpre Laque,Vert Métal and Pourpre Electrique. T. Le Clerc's limited edition Nail Enamels from the Elixir collection retail for P595 and are available in all Rustans Department Stores. Oh wow, love how it looks when it's on! What a pretty color!